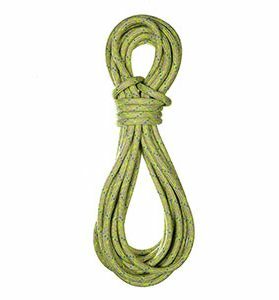 The Imlay Canyon Gear Bagarino – THE rope bag for working ropes in the 9mm X 120′ – 8mm X 150′ range. 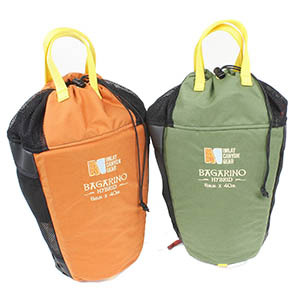 Functioning much like a Rope Silo, it features a four-panel design, flow-through mesh for drainage and in-bag drying, oversized/flared top skirt with drawstring, removable flotation, tie-in points, PVC laminate in the high-wear spots, and a shoulder strap! 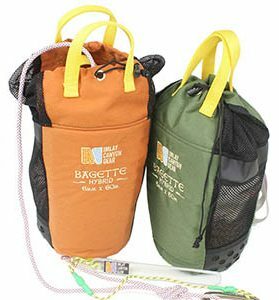 Category: Ropes & Bags, etc.